Mulch is the marker between the end of Fire Season, and the beginning of Rainy Season. 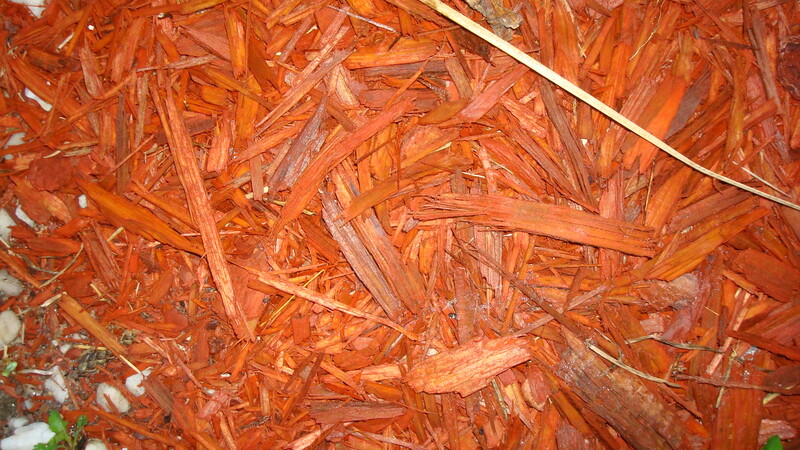 Mulch is the last of the ‘red’ things that you will see in Southwest Florida. Although it is fake-fake-fake, it looks pretty good on green suburbia yards. And this is the time of year when people get out in the cool time of day and do some gardening. (Almost everybody does this; we haven’t done any gardening lately.) Once you get the “flower beds” weeded, and put down a thick layer of Mulch, you can kiss the weeds good-by for a couple of months. Author Whale MaidenPosted on April 21, 2010 April 21, 2010 Categories Fire Season, gardening, Rainy SeasonTags Fire Season, gardening, mulch, Rainy Season, Southwest FloridaLeave a comment on Why write about Mulch?